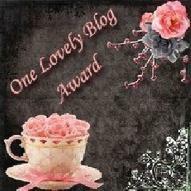 I am back from vacation and ready to begin regular postings again on the 4H blog! I hope you all had a great week last week! Let me start this review by saying whoever did the cover art for this DVD release is brilliant. The cover art is very simple, clean design with a depiction of a very creepy looking killer holding a huge bloody knife complete with the reflection of his latest screaming victim. Kudos to the art department! Now if only the movie would have been as good as that cover makes it look! 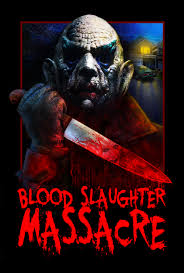 First off, with a name like BLOOD SLAUGHTER MASSACRE, you would think you were getting a parody of slasher flicks. That title just screams sarcasm...but alas, what is presented is a straight, serious slasher flick. The acting is pretty awful, as is the production quality of the film. In some spots it looks like a home video camera recorded it and then in other spots it goes in and out of focus. One thing this movie does have going for it are the kills, including some very gory scenes such as a shower stabbing and a woman getting chainsawed in half! But...just some good kills don't make the movie a good movie by any means. The cons definitely outweighed the pros in my opinion on this one. One major flaw I thought was the editing and running time. At 113 minutes, I thought there were many times of slow placing and unnecessary dialog. If they would have tightened this up to a good 'ol 80-90 minutes, I think the film could have been a lot better. * Feature length commentary with Manny Serrano (Director/Writer/Editor), Lindsay Serrano (Producer/A.D./Head of SFX) and Louie Cortes (Writer/Cinematography). Originally lensed as THE SLAUGHTER by notorious filmmakers Michael and Roberta Findlay (SHRIEK OF THE MUTILATED, TAKE ME NAKED), the movie sat on the shelf for five years until enterprising producer/distributor Allan Shackleton devised a controversial new ending and released it as SNUFF. Freshly transferred in High Definition from one of the only remaining prints, now the fascinating true story behind this infamous piece of trash cinema can finally be told... by those who survived! I had seen this movie years ago, but I really didn't remember anything about it. Its a very unique film as it almost feels like 2 movies in one. The first part feels like your watching a movie about the Manson family, with a cult leader that sends his women followers out on a killing streak. Some of the kills are very good and especially brutal for the 1970's. The 2nd part of the film is where we get into the real selling point for the film. The last part of the film we see a woman strapped down and brutalized, beginning with her fingers being cut off with a pair of pruning shears. This was a remarkably well done effect, as it looks completely real.. In fact, I'm still not sure how they did this effect. The only thing that lets you know it's fake is the fake blood that is used throughout the film, that looks like a very bright red thick paint. Other than that, this scene will make even the most veteran horror fan cringe. I'm not sure if there were any movies like this before SNUFF, if there are I am not aware. If this was a first, then this film helped pave the way for movies such as the Japanese Guinea Pig films from the 1980's to the more recent HOSTEL films. 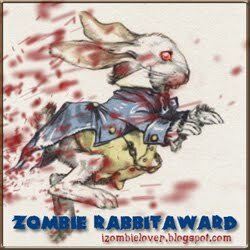 This is one you will definitely want to check out if you are a gore fan. 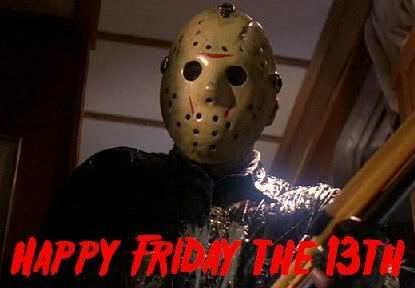 I hope you all had a wonderful Friday the 13th! 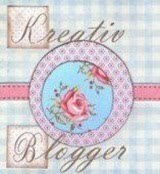 I thought this would be a good time to go back and visit one of my Friday the 13th posts from the past! This was originally posted here on the 4H blog back on January 13th, 2012!! Happy Friday the 13th! I hope you all had a great day and stayed out of trouble! Every Friday the 13th, I like to bring you some Jason Voorhees related post. 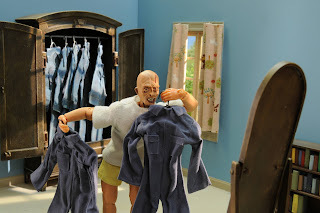 This time around, I have chosen the clip of 'Jason at Home' from the Adult Swim show, ROBOT CHICKEN. Now you can get a glimpse into Jason's personal life when is not ruining campers fun with his machete! 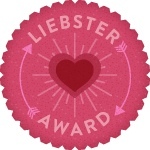 Click the link below to enjoy! MANOS: THE HANDS OF FATE, the sole directorial effort of Texas fertilizer salesman Harold P. Warren, perplexed even the most jaded Drive-In audiences and was deemed by many the worst movie ever made. Nearly lost, the original 16mm Ektachrome film elements have been finally unearthed and lovingly restored by Ben Solovey to create the definitive version of this accidental masterpiece. There's no other movie like MANOS... now in HD with picture and sound unseen since 1966. The fact they would celebrate this quote makes you realize they know this is a bad movie, yet there must have been something likable about it to make a company put money into an all new 2K restoration and a new DVD / Blu-ray release. If it was truly that bad of a movie, they wouldn't go to all this trouble to release it....right? Well....yeah, I guess, but it really is bad!! BUT....I don't know why, but I still kind of liked it. It's weird I know, but it's like when all your friends think a girl is really ugly, yet for some reason you are kind of attracted to her. You know she is ugly, yet you still kind of like her for some reason and you really can't figure out why. That is the best way I can describe this film. It's an ugly film but has a great personality! Well, that's really all I have to say about this one. It's one you need to check out for sure, if for no other reason, gather your buddies around and drink some beer, then have your own Mystery Science Theater 3000 live in your living room! Believe me, there will be plenty of opportunities to crack jokes about this one! I SPIT ON YOUR GRAVE: DEJA VU coming soon! If you are a fan of the original I SPIT ON YOUR GRAVE, a.k.a DAY OF THE WOMAN, you are in for some good news! Director Meir Zarchi and lead actress Camille Keaton are returning for a direct sequel to their 1978 film! The film will be called I SPIT ON YOUR GRAVE: DEJA VU. As most of you know, there was a remake of ISOYG back in 2010, followed by a sequel in 2013 and then part 3 that came out just this year. While these films share the same name, they had nothing to do with Meir Zarchi's original film. The original ISOYG is one of my favorite horror films. I am super excited to hear about this new film! 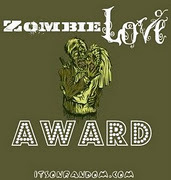 I read about it on the horror website, DreadCentral.com. Head over there to read the full article and read about more details of this film that is currently in production. Sad news this morning in the horror world. 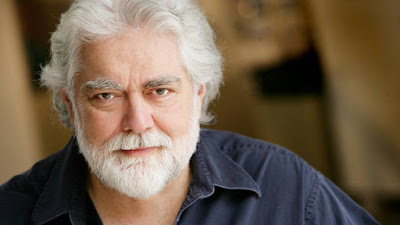 I awoke to news that genre legend Gunnar Hansen has passed away. Hansen died Saturday of pancreatic cancer at the age of 68. Hansen was best known for his iconic role as 'Leatherface" in the 1974 film, THE TEXAS CHAINSAW MASSACRE, but was cast in many more memorable roles throughout his 40+ year career including roles in films such as HOLLYWOOD CHAINSAW HOOKERS, MOSQUITO, HELLBLOCK 13, and 2013's TEXAS CHAINSAW 3D. Mr. Hansen also wrote the book, CHAINSAW CONFIDENTIAL, detailing the behind the scenes making of THE TEXAS CHAINSAW MASSACRE. I had the privilege of meeting Mr. Hansen at TEXAS FRIGHTMARE WEEKEND back in 2013. He was a very nice man for sure. Mr. Hansen's role as Leatherface will be one that lives on for many generations to come, and probably forever. He truly is a legend in the horror community and will be missed by millions of fans all over the world. Now, I have to be honest with you....I'm not sure I understand this film 100%. I think that is ok though, I think that leaves it open to multiple interpretations by multiple people. From what I gather from the film, we are looking at different murder victims who are in purgatory, which in this case is a disgusting, dilapidated old house full of dangers around every corner. The film is unique in that it features no dialog whatsoever. What is amazing about that, is that is doesn't need any. The films is written and acted so well we can get the story from the actresses emotions and mannerisms captured on the film. The film does contain sound effects and an amazing score which really sets the tone of the film. 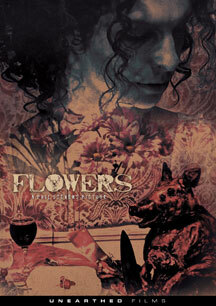 Also, FLOWERS was filmed with a very drab, yellowish tone, which really helped set the mood for the film as well. The films starts with one woman, making her way through a bloody, gore soaked crawlspace of the house. When she comes up through a hole in the floor, we now see a different woman. The film changes between all the women in the "house" very seamlessly. While this was part of what confused me at first, I soon realized there are multiple victims here and we are seeing all of their struggles, sewn together by the fact they were all victims of the same killer. As mentioned before, the acting in this film is amazing. I know some might say it's easy to act when you don't have to say anything, but I think just the opposite. I think that is actually harder. Trying to tell a story with no dialog means that the actors and actresses have to rely on their visuals and emotional expressions only. All the women in this film did an amazing job, and that was definitely not an easy task from what I saw. The set pieces were extremely vile and disgusting, and the women in this film were usually right in there with it...being covered in blood, guts, and whatever other bodily liquids and body parts there were! FLOWERS is a film you need to check out soon. It's not for the easily squeamish, as there are some very disgusting scenes, but it is a very well made film and to me is a home run for first time director Phil Stevens. I imagine we will see great things in the horror community from Mr. Stevens in the years to come! Director Mark Hartley takes us on a hilarious thrill ride through the masterworks of Yoram Globus and the late Menahem Golan, two movie-obsessed immigrant cousins who became Hollywood's ultimate gate-crashers. With hair-trigger randomness, these cousins of chaos churned out a breathtaking cavalcade of hits and misses, made movies out of posters, released a sequel before the original film, botched plots, bounced checks and burned careers - and in so doing, changed the way movies were made and marketed. Cannon Films was responsible for some great films back in the 1980's, including MISSING IN ACTION, DEATH WISH 2, SUPERMAN IV, THE LAST AMERICAN VIRGIN, LIFEFORCE, and CYBORG just name a few. It was very interesting to see how they got the ideas for some of these movies, some of which were almost direct remakes of foreign films. It was neat getting to see some trailers and clips from these old films, as well as hear about their production issues and problems told straight from the people that were involved. I saw a lot of films I recognized, but also saw quite a few films I was unfamiliar with. One of these was a Cannon Film called THE APPLE, which was supposed to be an epic Rock Opera. Turns out it was a complete flop, but from the scenes showed in this movie, it looked to be one of those "so bad, it's good" type of films. Needless to say I had to find a copy of this film! I found a reasonably priced DVD of THE APPLE on ebay. I can't wait to check it out! 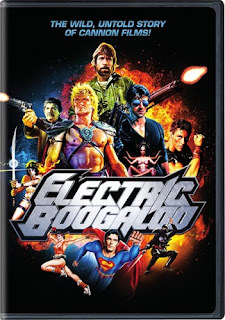 ELECTRIC BOOGALOO is available now on DVD from Warner Bros. The DVD contains over 25 minutes of deleted scenes and over 30 minutes of trailers! FRIGHTMARE is a must see if you have never had the chance to view it. It has such a nostalgic feel to it, almost like watching an old Hammer Horror film. In fact, it's pretty obvious that the character of Conrad Radzoff was inspired by the great Hammer Films actor, Christopher Lee. The film is part gothic horror and part slasher film, as your typical group of kids is picked off one by one by the killer. There are some pretty interesting kills in this film, including a woman bursting into flames, and one of the greatest decapitation scenes you will ever see! The acting is pretty good overall, with a wonderful performance by Ferdy Mayne as Conrad Radzoff. Also worth noting is one of "kids" is played by fan favorite Jeffrey Combs . As you know, Combs would go on to star in RE-ANIMATOR two years later, which to this day is still one of my top five horror movies of all time. It was fun seeing him in this different kind of role. I highly recommend checking out FRIGHTMARE and all the other great horror titles Vinegar Syndrome has been putting out lately!